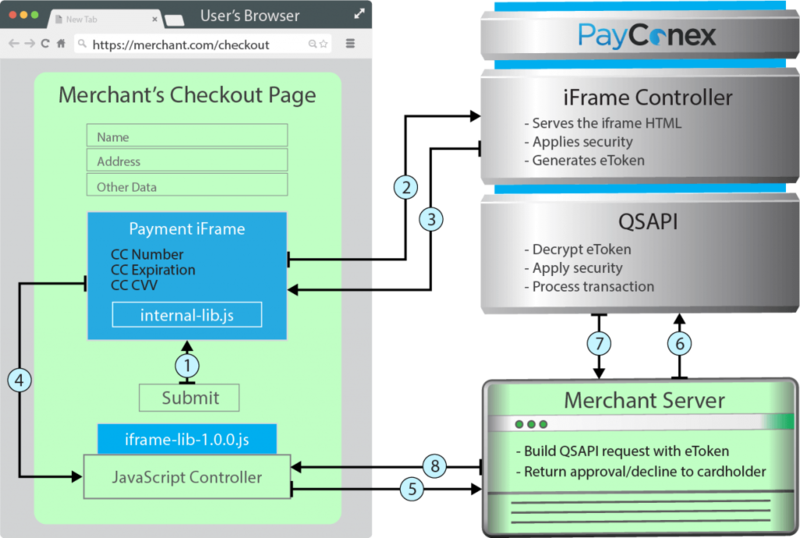 The purpose of the Payment iFrame, available through Bluefin’s PayConex™ Platform­, is to allow a merchant to embed an iFrame in their checkout page that will encrypt user entered payment data and return an “eToken” to the customer. The eToken can use the iFrame for processing payments through Bluefin’s API. The Payment iFrame and the accompanying client library allow the merchant to perform card data encryption in a PCI compliant manner while also affording them greater programmatic control over the look and feel of the embedded input form. When properly implemented, Bluefin’s iFrame and our Tokenization technology can take the Ecommerce operations of a merchant from SAQ D’s 333 security questions down to SAQ A’s 14 questions.